Per his military service record (regimental no. 4430), Joseph Armstrong was born at Bally-Bofey, Ireland. He gave his age as 43 years and 5 months, his marital status as single, and his occupation as labourer. He did a preliminary medical examination at Condobolin on 8th October 1915, then completed his medical, and attestation, at Parkes on 12th October, 1915. His description on his medical was height 5 feet 7 ½ inches tall, weight 162 lbs., with a fresh complexion, blue grey eyes, and light brown hair. His religious denomination was Church of England. He claimed to have served in the 3rd N.S.W. Imperial Bushmen for 2 ½ years in the Boer War. 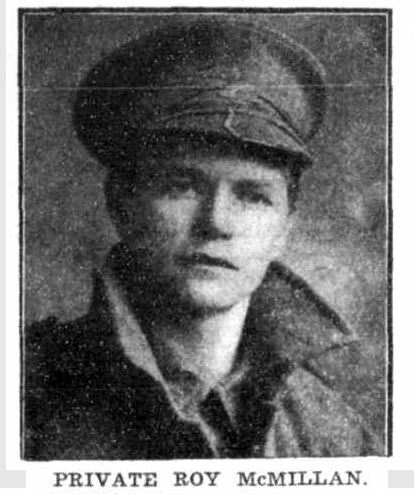 Private Armstrong was one of two recruits (along with Reginald Henry Chamberlain who joined at Parkes on the 11th October 1915), who travelled to Dubbo on the morning on Wednesday 13th October 1915, along with three others who entered Dubbo Military Camp (Western Champion, 14/10/1915, p. 18). 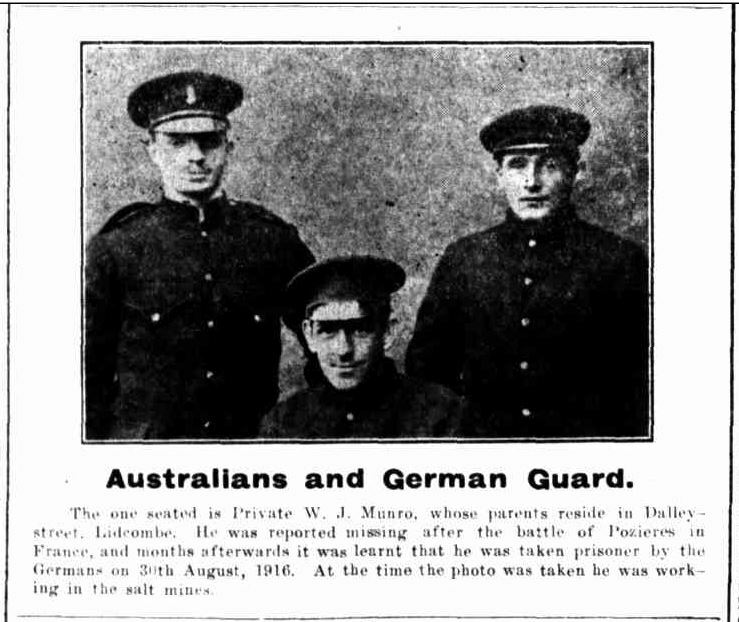 It was reported in The Western Champion (21/10/1915, p. 17) that the Parkes Recruiting Association had held a recruiting meeting ‘for the purpose of enrolling recruits who were willing to join the volunteers now on the way, by road, from Gilgandra to Sydney’, and that ‘five men had mounted the lorry in response to the appeal’, and that ‘one of them went on to Dubbo’, with the remaining four planning to proceed to Molong to join the contingent. However, the recruit who was sent to Dubbo by Parkes Recruiting Association to join the Coo-ees is not named anywhere in newspaper reports or in the official correspondence of the march held in the Mitchell Library. It appears one of them (Armstrong or Chamberlain) had a change of heart and decided to join the Coo-ees on their march to Sydney, instead of entering Dubbo Military Camp. After completing the Coo-ee March Private Armstrong went to Liverpool Camp as reinforcement for the 13th Battalion. On his embarkation roll his address at time of enrolment was 125 Flinders Street, Sydney, N.S.W., and his next of kin is listed as his cousin, Mrs E. Phillips, 125 Flinders Street, Sydney, N.S.W. Private Armstrong departed Sydney on the HMAT A70 Ballarat on 16th February 1916 as 14th Reinforcement for the 13th Battalion. He arrived in Egypt on the 22nd March 1916. 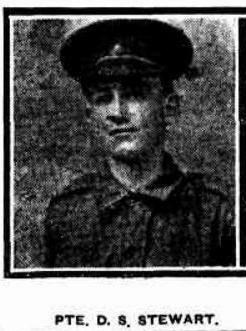 On the 1st April 1916 he was transferred to the 54th Battalion. He was initially reported killed in action on 19th July 1916 at the Battle of Fromelles in France. However he had been wounded with a bullet wound to the buttock and thigh during this battle, and taken a prisoner by the Germans. On 19th October 1916 he was officially reported as a Prisoner of War, at Wurzburg, Germany. After the end of the war he was repatriated, arriving in England on 30th December 1918. 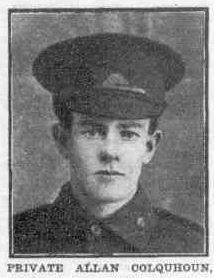 He then returned to Australia leaving Weymouth on the transport Karoa on 28th March 1919, arriving in Australia on 10th May 1919. He was medically discharged on 24th June 1919.